Epic Games has announced $100 million in funding in addition to free online services for game developers. The support, according to Epic Games, is to give back to gamers for their immense support for Fortnite. It’s no secret that Fortnite has made an ungodly amount of money since its launch. The game has easily beaten out the profits of other titles like Black Ops 4, Assassin’s Creed, Overwatch, etc. due to its free-to-play model combined with constant AAA support. Epic Games announced at GDC 2019 that they want to give back to the gaming community and other developers. 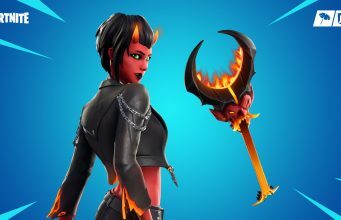 As part of this goal, Epic Games will be providing $100 million dollars in grants to developers for creative projects. 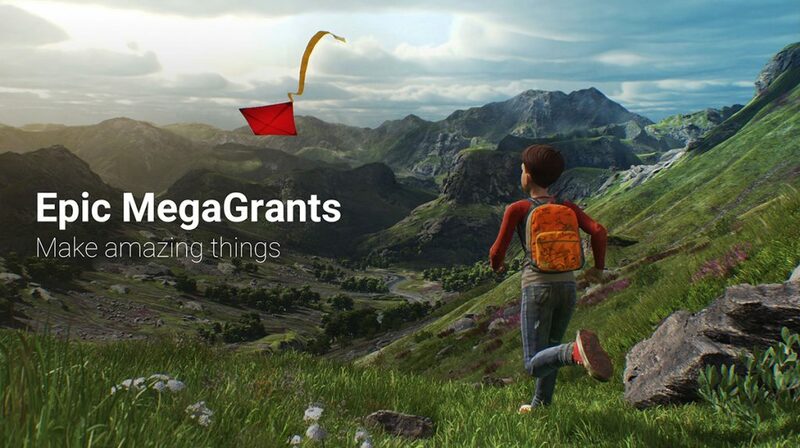 The initiative is called “Epic Megagrants” and will be providing grants of between $5000 to $500,000 to “strengthen creativity and innovation” in gaming development and other 3D creation. They announced this in a blog post on the Unreal Engine website. Epic Games will choose individuals’ and teams’ projects through submissions made by the developers. Whether you are just a one-person team or looking to make a larger dev group, you can receive a grant if you have a idea/prototype worthy of one. 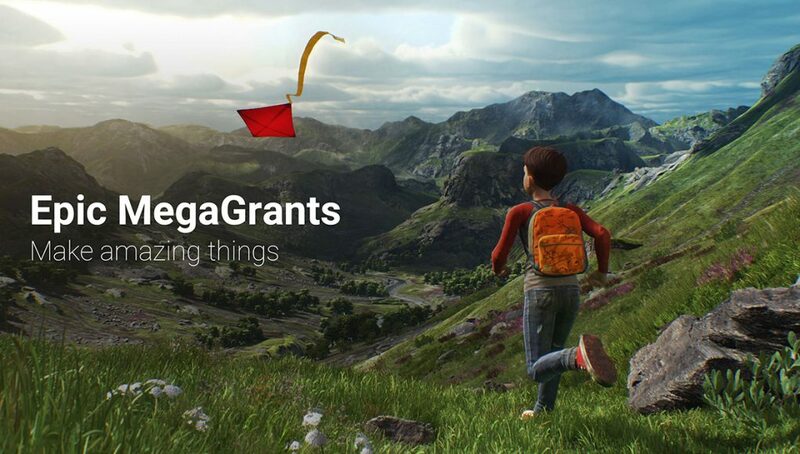 If you think you are creating something worthy of a Megagrant, you can submit the idea along with images, prototypes, and more at the Megagrant landpage – Epic Game Megagrants. As if that wasn’t already enough, Epic Games announced another program to assist developer in create quality gaming experience for gamers. Epic will provide free Online Services for all game developers. The package is a set of free tools that are part of Epic Online Services. The SDK for the Online Service can be downloaded right now from their developer portal. The kit currently supports Windows, Mac, and Linux, but other platforms will be supported at a later date. Online services in gaming include everything which connects players and lets developers create matchmaking queues, leaderboards, voice comms, and more. The Online Service launched on March 20th with the first included being “game analytics.” This tracks stuff like players counts, how many times your game has been launched, number of daily new players, and more. The second feature is “ticketing.” This is basic system that Epic uses for Fortnite and other games to allow players to report bugs, glitches, or other problems. So, why should you care about these amazing new initiatives and programs? You should care because this means that more and more games will be able to release with fully fledged online features and money backing. This means that wild new ideas that couldn’t find their way without financial backing can now become a reality. Online services are one of the hardest parts of game development and setting up your own network interfacing for a game can cost extreme amounts of money. With the new free online services from Epic Games, developers can focus on creating the best possible experience for gamers without worrying about creating a massive back-end from scratch. These announcements along with Google’s Stadia reveal means we are quickly barreling towards…next-gen gaming. The term will return to mainstream conversation quickly in the coming months as Xbox, Playstation, and other developers begin to begin to reveal how they will utilize and compete in the next-gen of gaming.